Luke and I had a long week ahead of us! I must say, this trip was mostly Luke's idea. 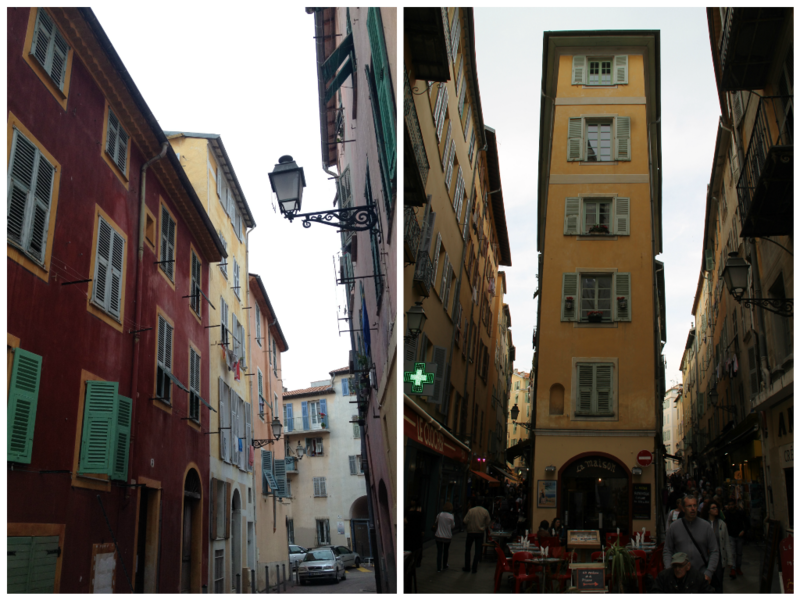 I had done research and asked around for tips and pointers, and asked what made the South of France so special. All I had heard was how amazing the area is, but I didn't understand why. I was told "it is an experience that cannot be explained", which I now agree with 100%. We based ourselves in Nice for the first four nights as it is centrally located along the coast for the other areas we wanted to see. Trains and buses made getting from one place to the next very easy. There isn't too much within Nice itself to see and do, but there are some nice restaurant and drinking options for the evenings after a day of exploring elsewhere. We arrived in the afternoon on Saturday, and then took the airport bus to the central train station. After checking in to the hotel, we made a general plan for the rest of our time in Nice. 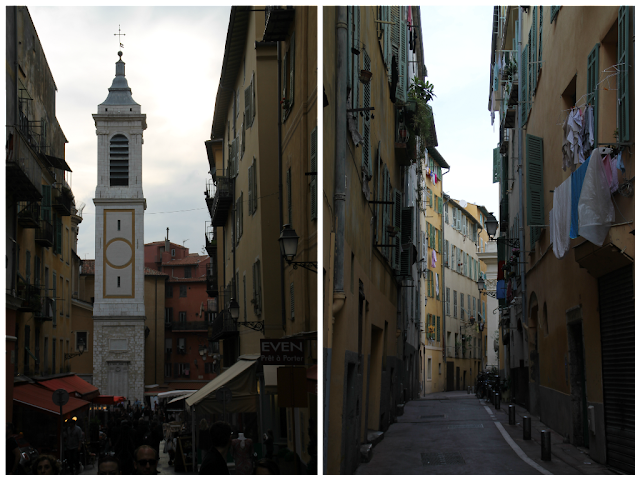 We figured that day would likely be the only day we would have in Nice (except for the evenings), so we wanted to see as much of the city as possible. To start, we wandered down to the waterfront. We immediately noticed a sunny but hazy sky, which actually continued throughout the rest of the week. At the end of the beach is the castle, so we walked up the stairs to the top - there is also a lift for a fee, but the stairs weren't too bad. The views from above were wonderful! After going back down the hill, we headed into the Old Town, which is surrounded by a wall, which reminded me a bit of the old towns in Split and Dubrovnik because of the tiled ground. We had dinner at Le Comptoir de Marche where the beef cheek was to die for and the veal kidney was not so much. We ended our evening having a few drinks in the old town before making our way back to the hotel. Our next three days in Nice were spent in Antibes, Monaco, and Eze Village... all coming soon in separate posts. 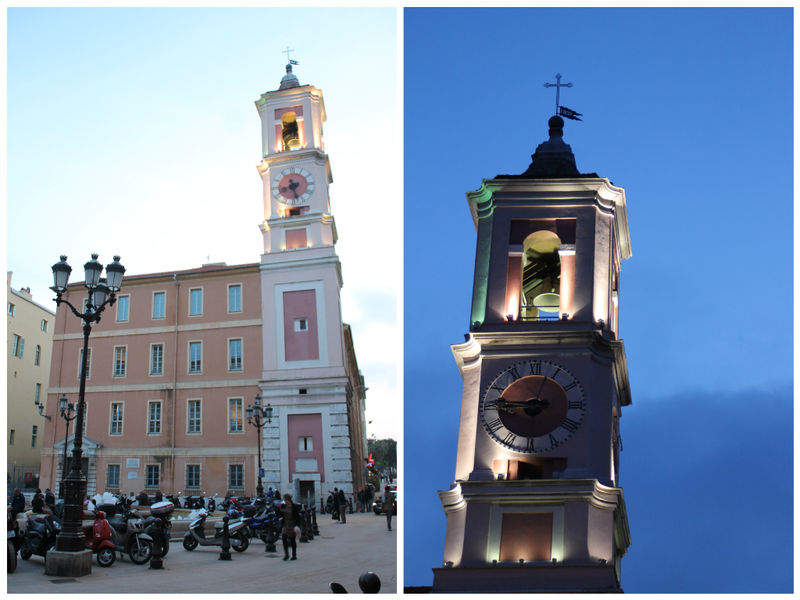 The evenings were all spent in Nice as we enjoyed dinner, drinks, and just wandering around. On Wednesday, we packed up our stuff and caught the 10:00 train to Avignon where we spent the next three nights. 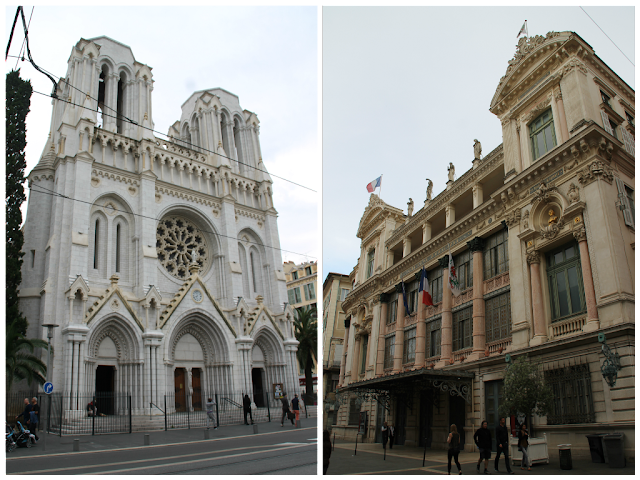 We had wonderful weather the entire time we were in Nice! The mornings and evenings were cool, and the days were sunny but not unbearably hot, but that is why we chose this visit for early May. Although Nice isn't the best of the cities/towns/villages we visited, it is a nice place, and it was perfect for what we wanted to do during our visit. Stay tuned for our day trip adventures! As we sat at the beachfront one evening, we watched airplanes fly in to Nice Airport once each minute. We were surprised at how busy the airport was (but then again, it is the main airport for the Cote d'Azur.